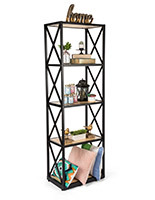 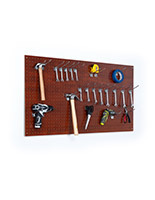 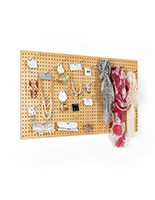 Use this white pegboard panel to create a modern retail merchandising display or as an organizer fixture in your home. 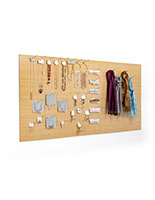 Included mounting hardware allows for hassle-free assembly. 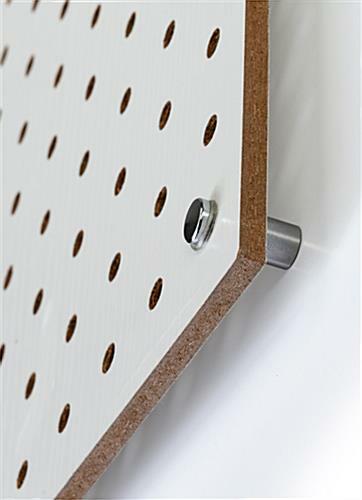 The white pegboard panel for retail displays comes in sets of (2) 4-foot by 2-foot boards. 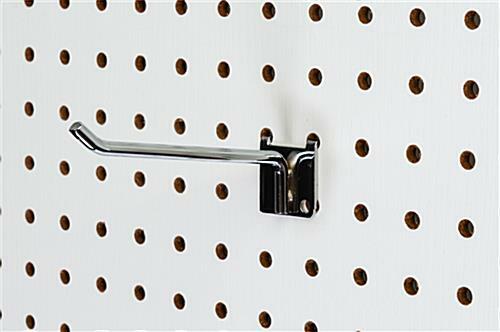 Round holes are compatible with accessories designed for 1/4" material thickness such as shelves, hooks or hangers (sold separately). 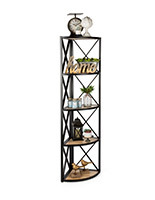 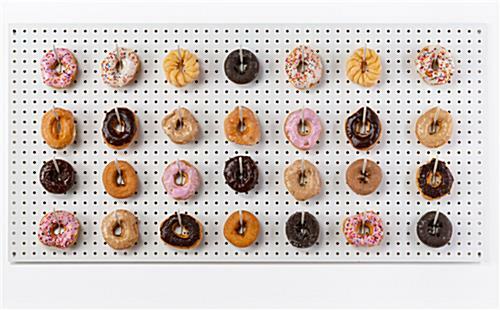 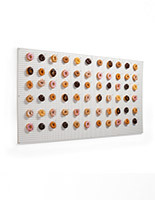 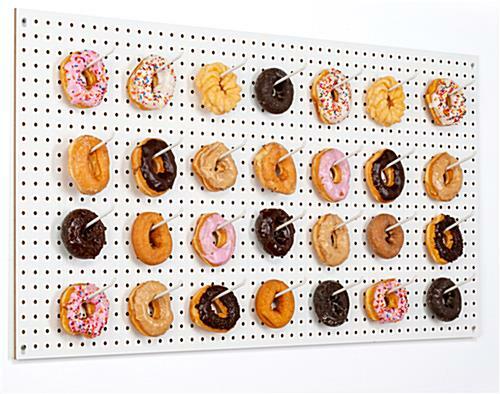 The opportunities for this board set are endless - use as a donut wall in a bakery, a retail merchandising display or as an organizer fixture for household items. 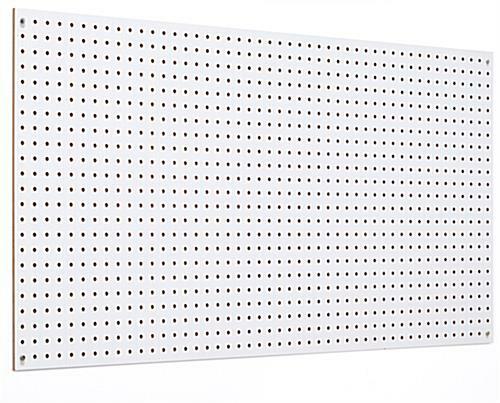 This white pegboard panel is compatible with standard slatwall shelves, hooks, and hangers making it a hassle-free choice for your store or home!